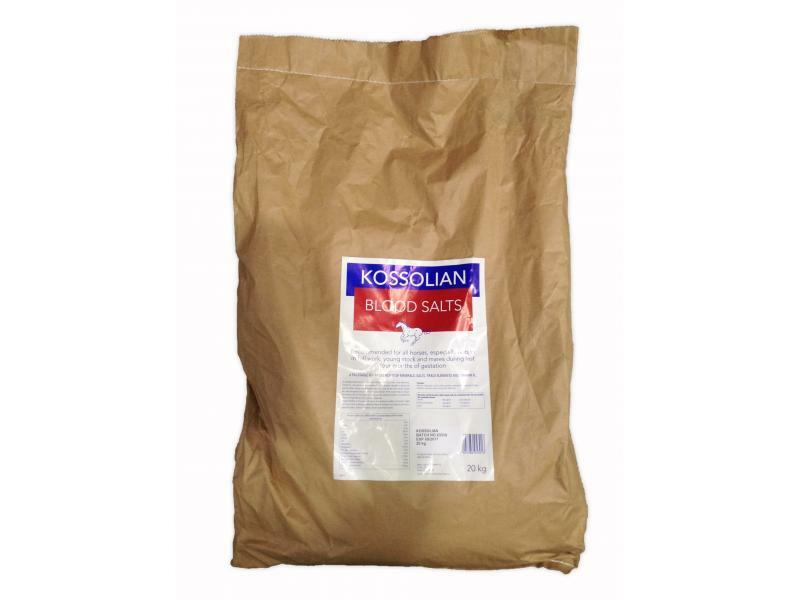 Kossolian Blood Salts are a carefully balanced blend of iodised minerals with iron, salts, trace elements, vitamin B12 and spices for added palatability. Particularly valuable in spring and autumn when horses are changing their coats, but for the best results should be used throughout the year. Regular feeding will ensure the optimum condition of horses in light and heavy work by providing a balanced blend of minerals and salts to promote a healthy metabolic system and renal function. Kossolian Liquid Blood Salts are a palatable liquid blend of minerals, salts, trace elements and vitamin B12. Recommended for all horses especially horses in full work, young stock and mares during the last four months of gestation. Below are some recent questions we've received regarding Kossolian Blood Salts for Horses, including answers from our team. As long as he is on a good balanced diet then you don't necessarily need to give a vitamin supplement too. You could also have a look at Equistro Haemolytan which is intended for lethargic or fatigued horses. is this product suitable for use under FEI and Jockey Club rules. Thank you for your question, I have contacted our supplier and yes this product is suitable for use under the FEI and Jockey Club rules.